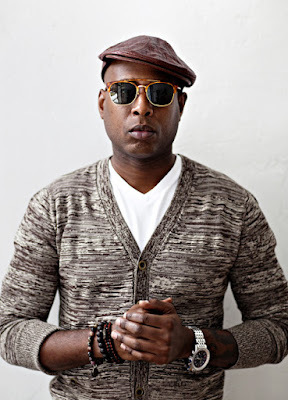 Brooklyn born activist and hip hop artist Talib Kweli has released seven solo albums throughout his career and he has collaborated with tons of huge artists, including Kanye West, Pharrell, Raekwon, Busta Rhymes, Kendrick Lamar, Justin Timberlake, and Mike Posner. I personally love his collabs with Kanye West and his passionate approach to activism (even if I don't agree with all of his politics). The legend will be performing live and in person at St. Andrew's this Saturday, February 4th. He is calling this tour The Seven Tour and he is performing alongside Styles P and K'Valentine. Tickets to attend the show are $30 and can be purchased here. We also have one pair of tickets to give away to the show courtesy of Live Nation Detroit. If you would like to win a pair of tickets to this show please email your full name to hipindetroit@gmail.com with the subject line #TK. We will draw one lucky person this Saturday morning and they will get to enjoy the show with a friend for FREE!